Before you go any further, scroll back down through the dsc headlines, and take a look at the Britcar results from Donington a fortnight ago. Then try to find the Britcar “regulars”. Fact is, the winter series, for the GT classes seems to have attracted a different clientele from the mainstream pre-24 hours group of races. True, the Cole Brothers won the night race, but not in their usual Damax Ferrari, and the #4 Topcats Marcos had a different driver pairing, but it was only the Chamberlain / Allen monster Porsche that linked the pre and post Silverstone sets. 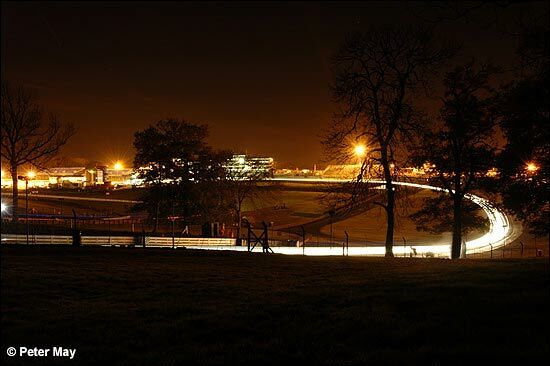 And so it is at Brands Hatch, where a two-hour Open race will be followed by an 80-minute night race. The Emotional Monaro (Jimmy Brodie / Alan Bonner), the Seldon / O’Brien BMW GTR, and the Rollcentre Mosler of Kevin Riley and Ian Flux have all dipped in and out of the series, the Rollcentre duo taking the win in the Donington daylight two weeks ago, and, with the Cirtek Porsche of Bobby Verdon-Roe and Brian Cordwell, they make up the GTRS Class. The JMH Ferrari will no doubt be still displaying the “For Sale” stickers as Phil Burton and Adam Wilcox give it one last run in the GT3 Class, and, conversely, Shiltech will be trying out the newly-acquired 360, with David Back and Aaron Scott likely to be driving. A pair of Porsches, from Chad (Dockerill / Shelton), and local boys Motorbase (Dave Bartrum / Phil Quaife) complete the class. Four cars too in the GT Cup Class – the single Topcats Marcos Mantis has Richard Gomes and Jon Harrison on board during the day, then Gerry Taylor taking over for the night shift. Nightclub boss and Britsports race winner Howard Spooner will be in the Richard Thorne Morgan Aero 8, and the ever-improving Jemco squad of Leigh Smart and Kevin Hancock is bringing the Marcos back out. How’s this for a wild prediction? The overall win going to grass-green Porsche 996 of food and drink executives Jean-Marc Rotsaert and John Gaw. The Porsche Open regulars excelled on the GP circuit back in June, the Belgian holding it steady in the early stages, then Gaw unlapped himself twice - before throwing it off at Paddock in a last-lap attempt on the leading bunch. The ProductionS1 runners combine with Britcar field for these races, and this is a taste for what will probably be the norm next season. Tony Brown, Ian White, and the Butler Motorsport BMW M3 were the class of the field at Donington, though the fight was taken to them by Michael Symons and Andre D’Cruze in the Geoff Steel M3. Watch out, though, for the Barwell Honda Civic of team boss Mark Lemmer and Clio frontrunner Ed Pead (another racer who is in the Preston Road Rally next month). Tony Skelton claims to have been involved in the very first Rallycross event in 1967, and with Cooper Challenge star Arthur Forster, will be looking for a better result in their Mini Cooper than the pair of retirements they had at Donington. That number 73 on the side of the car is not his Co-op number, by the way, but his age. With a potential combined field of 30-plus cars, numbers should not be the issue, but then, in this situation, why should they be? 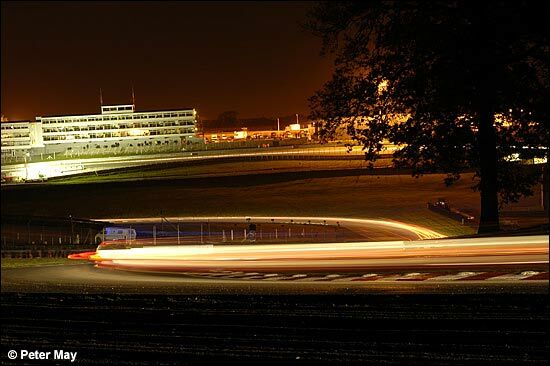 Forget how many are out there, and savour the unique-to-the-EERC spectacle of racing in the dark, seeing Moslers and Porsches thread their way through the Hondas and BMWs. Two 50-minute Britsports races complete the programme, and reliability will be the key here. The works-backed Junos will be hard to beat for sheer pace, regular Mike Roberts and rookie stunt-pilot Will Curtis due to drive easily-distinguishable machines, but that man Greensall, sharing Jean-Luc Rihon’s class three Radical SR3, could well be in contention too.